Located in Midtown, Fine and Rare is a spirits-focused bar featuring rare and limited edition whiskey, tequila, gin, mezcal, and rum within its art deco-inspired interior. It is also the sister location of The Flatiron Room. 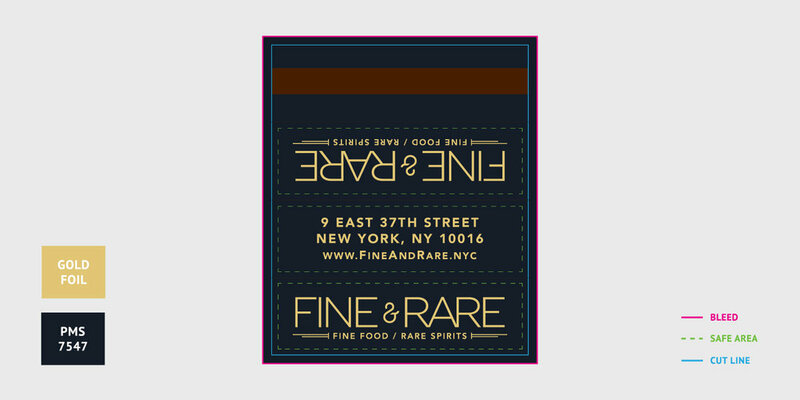 I helped launch the Fine & Rare brand by designing all print and digital restaurant collateral prior to opening date. I created the artwork for branded products such as matchboxes, decanter labels, and coasters. Additionally, I sourced production vendors, pre-flighted files for submission, and signed-off proofs.